Sorry I missed last week’s pregnancy update. I was on holiday in Devon and Derby. I’ve gained: I have gained 2lbs in the last two weeks. My starting weight was 132lbs/60kg and I lost 13lbs/6kg from Hyperemesis gravidarum. 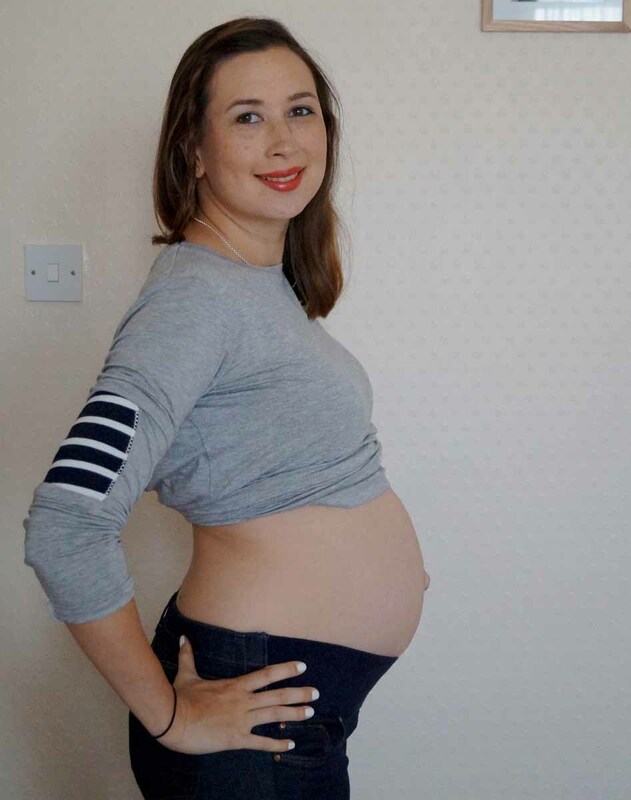 I’ve now gained 18lbs/8kg throughout my pregnancy. I have been eating a lot but it has mainly been fruit and salad as I seem to eat a nectarine every time I pass the fruit bowl. I’m also devouring raspberries by the punnet. 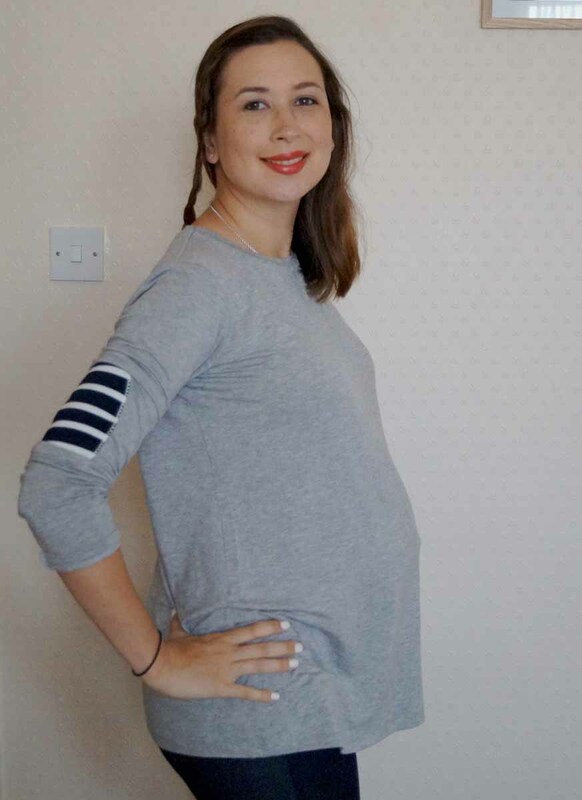 I’m wearing: An ASOS long sleeve, maternity T-Shirt and my Leigh Topshop maternity jeans. How I’m feeling: Very uncomfortable and super sleepy. It is difficult to sit and sleep in a position that doesn’t affect the bump. It feels quite heavy and either pushes up into my ribs or seems to need propping up on the bed. I’ve not been sleeping well as it is hard to roll over and I seem to end up in the middle of the bed most nights and struggle to get back to my side. Sorry Andy! Highlight: It has been lovely being on holiday for the last week. We went for Afternoon Tea in Bovey Castle, Devon, and to visit friends in Derby so although all the travelling has been tiring, we’ve had a lot of laughs and fun. It has meant that Annabelle has been a bit more excitable and over tired but she’s has had spent lots of time playing, exploring and learning. The baby is: 2lbs or nearly 1kg! If baby was born now, it would have a 90% survival rate. As great as those odds are, I would like to get to full term so stay put baby and I’ll see you in over 10 weeks. 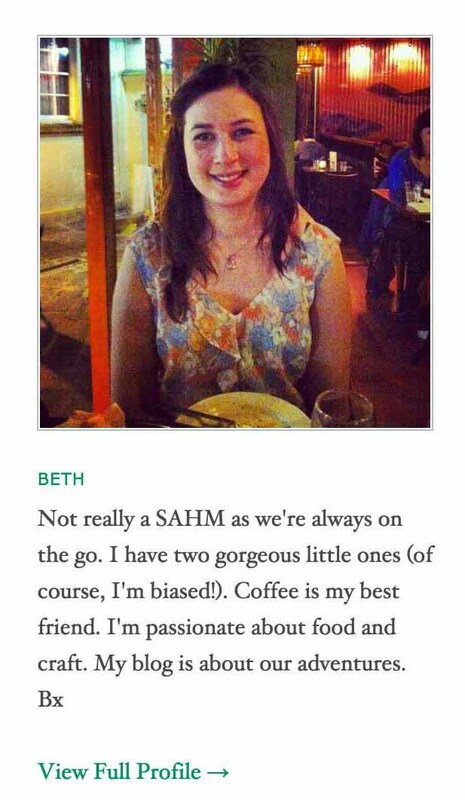 Food cravings: Coffee, coffee and more coffee. I’ll allow myself just one cup of coffee per day, usually first thing in the morning but I really crave it throughout the day so I’ve been having decaf. I’ve heard that arsenic is used to remove caffeine from tea and coffee so I try to limit the cups of decaf I drink. Andy and I really enjoyed the tea we had at Bovey Castle. He had vanilla rooibos and I had rhubarb with vanilla so I may see if I can order those flavours online and up my herbal tea intake instead. Symptoms: Tiredness. I’m struggling to get through the day without a nap. I’ve also had a lot of Braxton Hicks which aren’t fun. My body: A lot bigger! 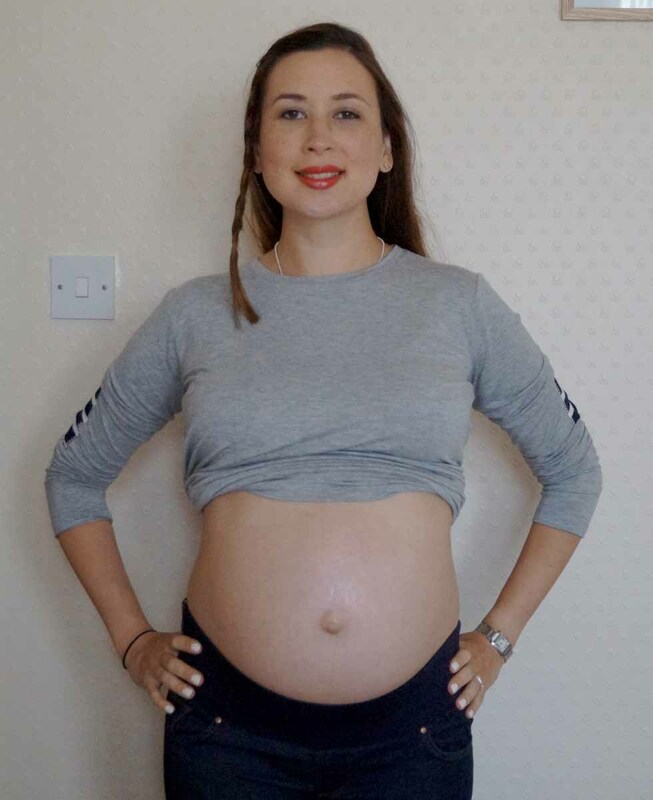 My non-maternity T-shirts are definitely too small now and I’m gutted. I don’t really want to buy any more maternity clothes as I want to spend the money decorating Belle’s new bedroom and we’ve just had to buy a new washing machine. Any mood swings? Yep, been a bit emotional but that’s mainly caused by feeling so tired. I’m looking forward to: Seeing my extended family for dinner and catching up with a few friends before the end of the summer holidays. I definitely feel like I need the caffeine but I also have a wriggler who reminds me not to have more! I’m trying a few alternatives to ‘delicious’ water but I heard green tea stops the folic acid from working and a lot of herbal teas seem to have an aroma but no taste 😦 I’m not a big fan of squash either. Thank you. I can’t believe it’s gone by so fast! It was delightful and as Annabelle was in the creche it was relaxing too. Thank you. In comparison to the first trimester, I’ve definitely been making the most of a healthy second trimester and hopefully a third.